At BREK Communications, we have more than 25 years of experience providing high quality, competitively priced IP, telephone, and security system services to Newport Beach and throughout Southern California. Our comprehensive services include design, installation, service, repair, training, and technical support, and we specialize in making communication systems more efficient and cost-effective. Whether your Newport Beach business needs to install a new telephone system, upgrade your security system, or integrate your communication systems into a single network, BREK Communications provides advanced, efficient solutions that save companies money. In addition, our services typically cost about 30% less than those provided by your phone and cable carriers. We provide free site surveys and estimates for communication and security system services in Newport Beach, so call us today to schedule yours. BREK Communications is truly Newport Beach's best value for phone, data, and alarm services. BREK Communications is Newport Beach's best value for high quality security systems and related services. We provide cost-effective installation, upgrades, integration, programming, training, repair, and technical support. Our security systems include a full range of state-of-the-art components and options, and we can customize your system for your business's needs and budget. Call BREK Communications today to find out more, or to schedule a free site survey and estimate in Newport Beach for security system service. Call BREK Communications today to schedule a free site survey and estimate in Newport Beach for telephone system service. By integrating voice and data applications, servers, workstations, and networks into one powerful infrastructure, we can help your Newport Beach business run more efficiently and save money. Call BREK Communications today to schedule a free site survey and estimate in Newport Beach for computer and enterprise network services. Reliable, efficient, and intelligently integrated communication and security systems can help lower costs and maximize profits for your Newport Beach business. With every service we offer, our highly qualified, experienced technicians ensure minimal or no interruption to business, increased efficiency and productivity going forward, and ease of use for administrators, operators, and other users of your systems. We offer free site surveys and estimates for all of our services in Newport Beach, so call us today to schedule yours. 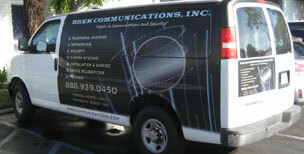 BREK Communications is truly Newport Beach's best value in phone, network, and security system services.